Rounded corner rectangles are easy but I'm not sure how to round the sides easily as well. I would want these shapes to be easy to re-size ideally. Can anyone nudge me in the right direction? Then apply Effect > Warp > Inflate. 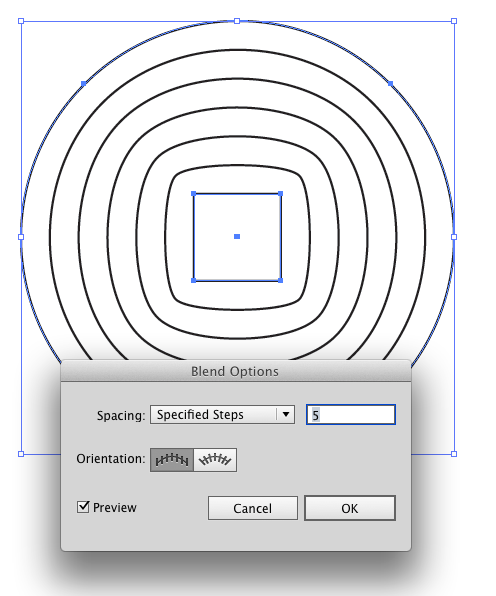 Now choose Object > Blend > Blend Options set the drop down to Specified Steps and add steps until you see the shape you want and then click OK.
Delete the shapes you don't need. 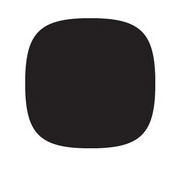 A minor hint (do not know if it's appropriate for your situation) - if you are designing a Nokia S40 / Symbian / Meego app (your shape looks exactly like Nokia's "squircle") you'd better use the templates available at Nokia's website since it's crucial for the squircles to have exactly the same shape, otherwise your app icon will look inconsistent. The above answers seem sufficient, but just for completeness/reference, the shapes that they create are not true squircles. 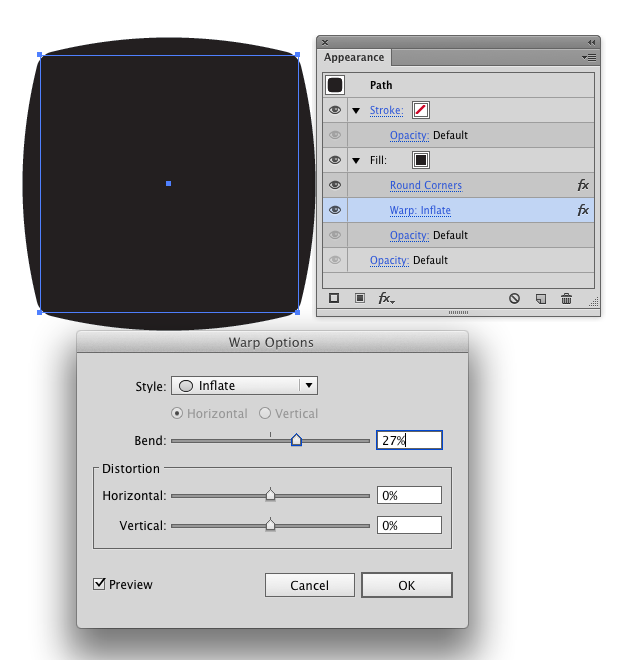 A real squircle can be defined by the equation: x^4+y^4=r^4 In a NURBS modeling program, you'd start with a circle and select every other control point then rotate them around the center to define how rounded you want it. In illustrator, they are cubic Bezier curves. As far as I'm aware, you cannot create a true spline in illustrator. This will matter if you are trying to match true squircles (like in iOs or Symbian) or if you're trying to create a 3D shape. Rounded corner effect, changes shape on resize?